We talk loud and proud about how terrible the villains are… how many atrocities they have committed or what terror they unleash upon the innocents. We have heard the stories time and time again! Some of those villains, though, are given a pretty bad rap. They can’t all be that bad. Maybe they took a wrong road, sure, but they have to have some redeeming qualities, right!? Some moment back in their childhood where they were decent, sweet, even cuddly people? Well, here is our opportunity to see the Queen of Hearts at her most genuine and you can help us solve this mystery of the Red Queen’s origin for once and for all. 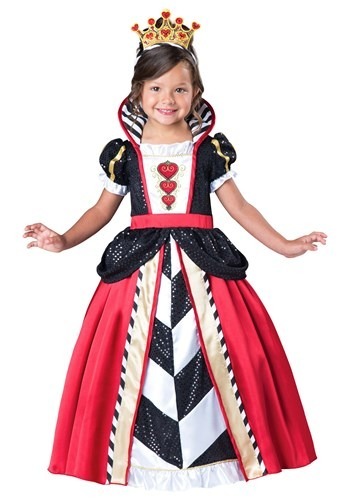 Offer your little princess the royal crown with this Toddler Girl’s Queen of Hearts costume and see what kind of queen she would make. 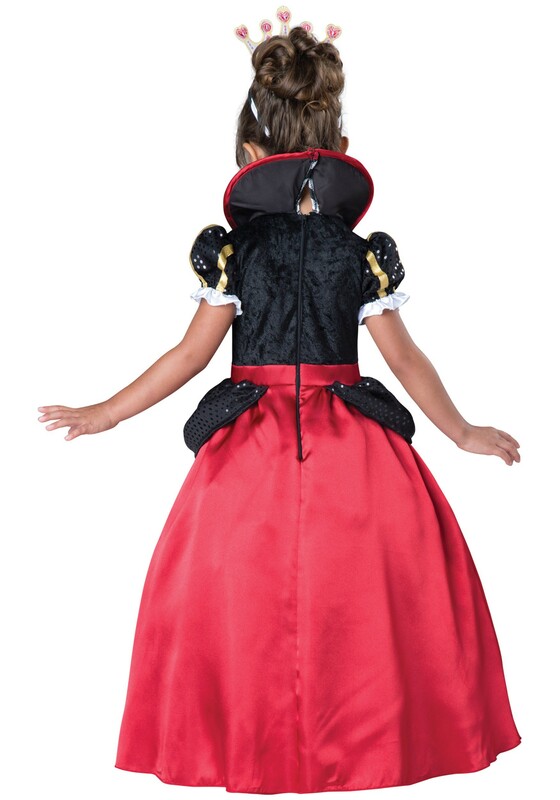 A comfy dress of crisp black, white, and red colors, she’ll be like a vivid card painting come to life. The poofy shoulders are sure to be a hit and the black chiffon under layers will give your girl just the swirl she needs. Give her a cute and commanding look… and maybe an extra share of the chocolate; maybe we’ll at least make it until next year before she starts demanding heads.